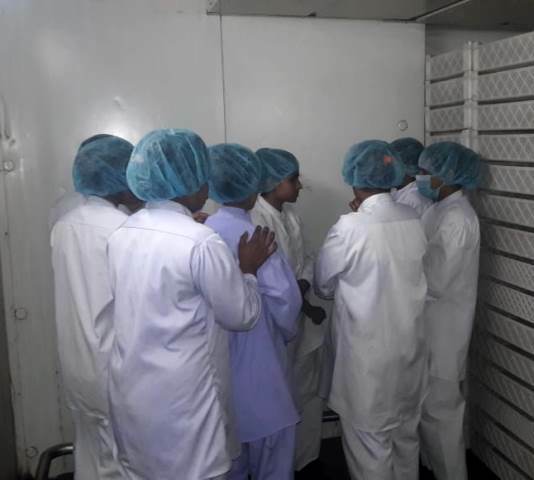 On April 9, thugs supplied by a labour contractor at Netherlands-based global confectioner Perfetti Van Melle's factory in Gazipur, Bangladesh launched an organized attack on union members at work. Management stood by as over 20 goons organized by labour and services provider Rahat Corporation entered the factory and sought out, beat and intimidated union members with bats and wooden sticks. The union escorted 15 women workers on duty to safety while the thugs roamed the factory. Management failed to alert police or report the attack. The union, which won legal collective bargaining status on February 27 after 5 months of struggle against management attempts to undermine their rights, has been seeking to negotiate a first collective bargaining agreement and is demanding permanent status for the contract workers supplied by Rahat Corporation. The union escorted women workers to safety while thugs freely roamed the factory. The IUF has denounced this vicious, organized assault in a letter to Perfetti Van Melle, demanding the company take immediate measures to ensure the safety and physical and psychological integrity of all who work at the factory and calling on it to sever ties with the contractor.